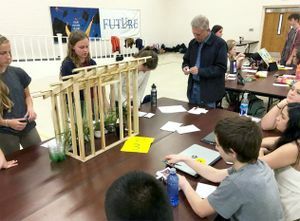 Using community mentors and project-based learning, this rural high school is opening up opportunities for its students. 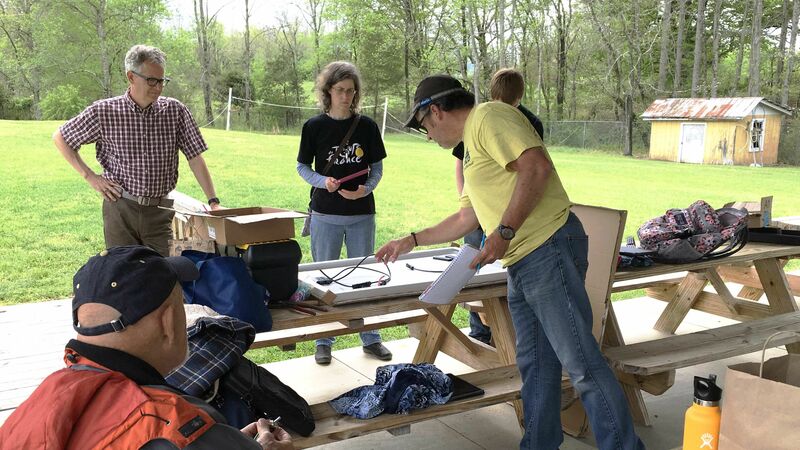 Students work with an electrical engineer and other adults to construct a solar-panel phone charger. As I walked to my high school classroom during first period one day, I saw a couple of our students at Tri-County Early College consulting with a local electrician to put together a prototype of a solar-panel phone charger. Later in the day, I witnessed a group of students who were working on refurbishing a go-kart frame and installing a treadmill motor after recruiting welding students from the community college to help them. Meanwhile, a group designing an app to help teens with mental health challenges was integrating feedback they had received the week before from a local therapist who had some ideas about how to improve their product. As a rural school in Murphy, North Carolina—in Southern Appalachia—we have become acutely aware of the challenges facing our student population: They live in a historically isolated community with little access to cutting-edge, well-paid jobs. Moreover, our school targets students who require financial assistance with college or will be first-time college-goers, as well as those who are academically underperforming. Therefore, building their networking capacity is an essential component of increasing their chances at success. Each student at the writer’s school is part of a network that includes peers, family, teachers, and mentors from the community. 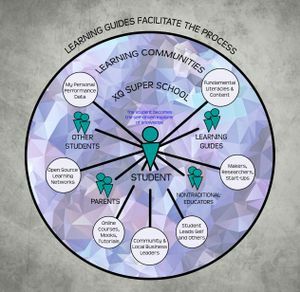 Last year, as we tweaked our school’s approach in the XQ Super Schools contest, we decided that the only way to remedy all this was to insist that students interact with the local, national, and global community everyday. 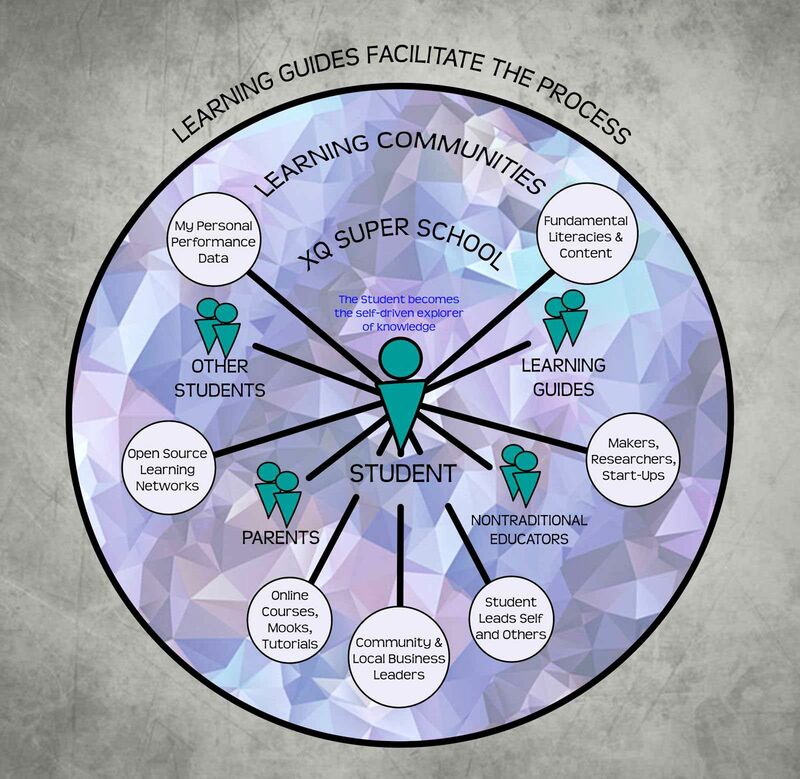 Through active collaboration on solving real-world problems and a push to share student work and our school's philosophy as openly as possible, we envisioned ourselves as an open-source learning academy that viewed connection and sharing as paramount (see our student-designed infographic at left). We imagined scenarios where students would work side by side with social entrepreneurs, startups, nonprofits, and government to innovate on existing initiatives and get their hands dirty doing important work with people from all over the world. This year we implemented this bold vision school-wide. Because we had already focused heavily on project-based learning for many years and frequently recruited public audiences for student exhibitions, we had a track record of engaging with the community. We leveraged this foundation to push the envelope further by requiring that every student project have a mentor or collaborator from outside the school. At first, students certainly struggled with this, and they sent some humorously unprofessional emails early in the year to potential mentors. However, one business owner who has been repeatedly contacted by our students throughout the year commented on how much their communication skills have improved and how important and rare this skill set seems to be among young professionals. By the time the second project came around in mid-October, students had definitely begun to get the hang of things. Our Law and Order project had students prepare for mock trials that took place at our local courthouse. One aspect of the project that became a highlight was the collaboration with local legal professionals. Students reached out to lawyers, police officers, and others, who coached them on effective strategies to win their cases. Peers and a local business owner ask questions and provide feedback as part of the school’s Shark Tank project. When the court date arrived, we arranged for our newfound network to attend the student trials and provide an analysis of them as the jury deliberated. On multiple occasions these legal professionals commented that they hadn't seen any mock trials of this caliber since law school. Meanwhile, our students learned how to use networking to enhance their cases. To build on this success and further our open-source learning aspirations, we designed the third school-wide project of the year to be a Shark Tank–style entrepreneurial competition. Students developed business ideas, plans, and prototypes that they pitched at the end of the semester to the student body and a panel of community judges. One of the notable projects and collaborative ventures was the solar-panel phone charger prototype, for which a student won a $1,000 grant. It will be piloted at our school and then scaled with partner schools in Haiti. Another group has already sold multiple orders of its gourmet dog treats and has partnered with local veterinarians and humane societies to market its products. As the global economy becomes increasingly collaborative and borderless, we’re excited that our students will be active innovators who will be comfortable leveraging networks to improve products and processes. Students have already benefited greatly, and we feel confident that our approach will take them very far in their careers and lives. If you work at a school or business that shares this philosophy or wants to begin integrating it, please contact us to start a discussion.